Music stirs the soul. God created music for that purpose. It will either stir your soul toward spiritual things or toward fleshly things. It will either draw you to God or away from Him. Music will help you in your spiritual growth or greatly hinder you. Music either brings honor and glory to God or it wholly dishonors God. Someone made the comment to me the other day about not liking contemporary music. One person even referred to contemporary music as “devil’s music”. The irony behind the statement was that the contemporary song being played, at the time of that statement, was an old hymn redone by a contemporary artist. I have heard counter comments just as often. “I don’t like the hymns.” “They hymns are boring and hard to understand.” And so on. Here is what I told the person who made the comment about “contemporary” music. “Doesn’t it amaze you that at one point in time someone heard the song Amazing Grace and said, ‘I don’t like that new contemporary song!’” You see, at one point in history Amazing Grace, I’ll Fly Away, The Old Rugged Cross, and all the other great hymns of our faith were new, contemporary songs. In fact, if you will do some research on the history of hymns you will find that when hymns first became popular there was great opposition to them. The church sang the Psalms prior to singing hymns. Does God live in the 16th Century? Does God live in the 19th Century? Or, does He live in the 21st Century? Why do we think that God prefers one style of music over another? People have preferences. I personally do not like the twangy, country Christian songs that remind me of something that could be played out of a juke box. I just don’t like that style. I am not crazy about bluegrass music either. So when I hear a Christian song of that style I focus on the words. I praise God through the words that are spoken. I have known people who will sing a hymn that is unbiblical in doctrine just because it is in their songbook. Likewise, people will sing praise and worship songs that are not biblical just because they like the style. I don’t believe the style or type of music is as near as important as the message it portrays. The truth is that our preferences really don’t matter. When it comes to music the only question is what God and His Word says. Ephesians 5:19 gives some insight. 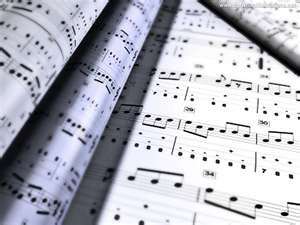 “Speaking to yourselves in psalms and hymns and spiritual songs, singing and making melody in your heart to the Lord.” There are three types of music listed here- psalms, hymns, and spiritual songs. The psalms are the same Psalms we find in our Bible from God. The early church would put the Psalms to music and sing them word for word. I love singing the Psalms because it helps to hide His Word in my heart. You cannot go wrong singing a song that is God’s own Word. Hymns are songs that tell others about God. Many of our hymns do just this. “On a hill far away, stood an old rugged cross…” This tells a story about God. Hymns teach doctrine. Hymns strengthen our faith. Hymns bless those around us. Spiritual Songs are songs that are sung to God. We would call them Praise and Worship songs. “I love you Lord and I lift my voice to worship you, Oh my soul rejoice…..” Spiritual songs strengthen our personal relationship with the Lord. So you see, we should be singing all types of songs. We should be singing songs from God, about God, and to God. And they should be sung with a pure heart; “making melody in your heart to the Lord.” God is always concerned with our heart. If Christian people would put aside their own preferences and focus on the truth, the issue of music would be null. God would be praised. His name would be lifted up. His truths would be sung. His Word would be declared. Brothers and sisters in the faith would be united in song. And God would be worshipped in sprit and in truth. Wow! And thank you so much for this post! It explains your stance (and ours) quite well, and you did it politely. I’m reposting this and showing it to my husband. We too, are sick of the music wars in the church. I prefer older hymn type music- but don’t mind the more contemporary. The one thing I don’t think is right is when the performer sings in a seductive manner (by voice and or body movement). We have been looking for a new church this past year and have been disappointed to find several that do this. I agree witih you whole heartly. We as “Christians” tend to lose cite as to the reason why we sing. Do we sing to please ourselves or to please God. I agree with you. I think there is a place for all these types of Christian songs. I have been going to a church that only plays and sings contemporary praise and worship music. At first I really liked that. The more I go there and think about it, the more I really miss the hymns. I never really expected to feel that way. There is a place for all types of good, biblical Christian music. Great article! I will be printing this out for Mom and Dad to see. Keep up the great work Sis! Not all of us younger folks like bands in church. I prefer hymns and psalm sang at church. Contemporary music is corny. Don’t like it at all. I rather listen to nails on a chalk board. And most important part on why contemporary music fails there is no theology behind the lyrics, no thought behind the 3 words being repeated over and over. Trust me the older generations are not the only ones who dislike contemporary. I know many younger people in their early 20’s that prefer traditional hymns as a form to worship God. Worship is for believers directed towards Christ. Worship is not suppose attract none believers. The Gospel the word is suppose to do that.